Welcome to our list of the best printers of 2019. Whether you're looking for a new printer for your home or your office (or both), then you've come to the right place, as we've listed the very best printers right here. 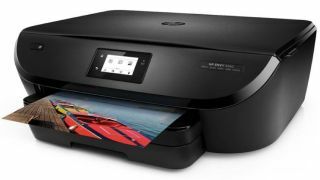 From all-in-one printers that can handle scanning and photocopying as well as printing, to specialised photo printers that can produce lab-quality printouts of your photographs, we’ve put together this list of the best printers of 2019 so that you can spend less time shopping and more time getting some work done. The best printers come in every shape and size these days, which means there’s a lot to choose from when you’re shopping for a new printer – we’re here to help. We went ahead and discarded the jargon to make buying your new printer as simple as possible. We’ve also split this list into the best inkjet printers and the best laser printers, and we include standard printers alongside more complicated units. Regardless of the kind of printer you’re looking for, you’ll find it right here, and our exclusive price comparison tool will help you get the best printers for a bargain. The Deskjet 3630 is a decent printer for the price, offering reasonable print speeds and the ability to connect to mobile devices without breaking the bank. Just be wary as its ink cartridges can be priced when picked up from shops. It doesn't quite have the build quality of HP's more expensive Envy models, but if you're looking for an initially cheap model that catches the eye when sat on a shelf, the Deskjet 3630 is a great option. Great for the traveling professional or someone who needs a small printer for occasional use, printing photos or using the scanner function. It's a bit pricey to buy - and to run - but the flexibility and quality of the printouts is excellent. Consumables are usually expensive when it comes to printers. So it is quite surprising that one vendor, Epson, single-handedly decided to challenge that status quo by allowing users to refill their printer using ink bottles. What's even more surprising is that Epson includes two years of ink with the package; no more expensive cartridges and instead, you have enough material to deliver 11,000 pages worth of black and colour inks (that's 700ml worth of liquid). Oh and there's even a three-year warranty making this a great choice for bean counters fixing the TCO of their printers. The L655 lacks the features found on cheaper competitors – it is relatively slower (although it has a higher printing resolution) and has a small paper input tray. If you're looking for a great all-round printer which doesn't skimp on print quality for your photographs, then I don't think you will be disappointed by what the MG7150 has to offer. While it's certainly more expensive than some of the cheap two in one printers you can pick up, it's not a bad price for something which produces high quality prints, especially if you only need to print at A4 or below. This is a big and bulky printer, that would look more at home in an office than a house - but it's a fantastic performer that can handle both A4 and the larger A3 sizes. It's cheap to run, and most importantly, the print quality is very good, making this a worthwhile investment if you're looking for a fast and flexible printer. We've come to expect simple setup and operation from Envy printers, and this one is no exception. It's quiet, packs in a lot of features and delivers excellent print quality, especially on photo paper. We particularly like the ability to use smartphones as well as computers, and to connect wirelessly without a router. You won't get fancy features like wireless printing, duplexing or scanning, but if you don't need all the frills of an all-in-one printer, the HP DeskJet 1010 offers solid print performance and quality at an unbeatable price in a compact package.